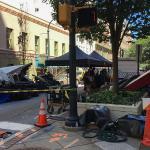 We’ve just had another jam-packed month for film production here in Atlanta. It wasn’t too hot, wasn’t too cold, and that led to the perfect weather for casts and crews to do their things. Here’s everything we saw (and where) in November. New this month is Ryan Gosling’s First Man (Production code: COLIN). Following the life of Neil Armstrong, the first man to walk on the moon, the film also features Jon Bernthal and Claire Foy. First Man started November with signs posted in Roswell on Crabapple Road. A nearby basecamp was spotted at Lebanon Baptist Church. Additional signs were placed near Emory’s Briarcliff campus on November 7 and 12. On the 18th, the basecamp in Roswell was reused. Most recently, we spotted filming again at Emory, at the old Georgia Mental Health Institute, which more famously stars as Hawkins National Laboratory in Stranger Things. Also new: Sony’s latest Spider-Man universe film, Venom (LOZ). Starring Tom Hardy, Jenny Slate, and Michelle Williams, this film’s in a bit of a weird limbo. Marvel Studios doesn’t consider it part of the Marvel Cinematic Universe (which includes Spider-Man: Homecoming and Avengers: Infinity War) but Sony does. When it comes to what’s going to be canon, we’re just as confused as you are. At the end of October, Venom was in Rex. 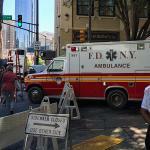 Around November 1, filming moved into downtown Atlanta, shooting at the old Norfolk Southern building. Between the 2nd and the 5th, a basecamp was set up in Buckhead, off of Sidney Marcus Boulevard in The Dump Furniture Outlet’s parking lot. On November 7 and 8, crews were back in Rex. They then moved slightly north to Ellenwood, and then over to Jonesboro. On November 20, production shot at the Georgia World Congress Center, and last week, crews worked in Midtown. We just recently started to see signs for Mile 22 (M22), a film starring Mark Wahlberg, Lauren Cohan, and John Malkovich. Mile 22 is an action film about a CIA operative and an Indonesian police officer working together to confront a corrupt and violent world around them. Production just started on this one, and we’ve only seen signs up in Norcross this past week. More on this film next month. SundanceTV’s Hap and Leonard (H&L) continued to shoot its third season in town this month. H&L signs were up between Douglasville and Carrollton on State Road 166 on November 7. Between the 7th and the 10th, additional signs were up on I-20 and Post Road, near Winston. On November 15, crews were in Villa Rica. On the 18th, production moved to Covington. As we mentioned last month, Jack Black is working on a new film in Atlanta, The House with a Clock in its Walls (BVP). The fantasy/horror film ended October in Newnan and set up a basecamp at Oakhurst Elementary School on November 18. And speaking of horror, Netflix’s The Haunting of Hill House (HHH), a series based off of the 1959 Shirley Jackson novel of the same name, has begun to shoot. Crews worked out of downtown on November 17. Fellow Netflix hit Ozark (SUGARWOOD) looks to be ramping up production for its second season. Between November 17 and 21, signs were up at Bells Ferry Road and I-575 leading all the way to Little River Marina on Lake Allatoona. AMC’s new series, Lodge 49 (LODGE 49), starring Wyatt Russell, Brent Jennings, and Sonya Cassidy, continued filming into November as well. Between November 13 and 15, a basecamp was set up in Johns Creek at the Target off of State Bridge Road and Medlock Bridge Road. Additional signs were seen off of Exit 10 on 400 on the 20th. Signs for the YouTube Red Karate Kid spinoff series, Cobra Kai (CK) were spotted near the North Atlanta Soccer Association Tophat fields in East Cobb on November 7. More signs were plopped along Riverside Drive on November 15. On the 17th, crews were back in East Cobb. Netflix’s Insatiable (INSATIABLE), a series about a disgraced lawyer-turned-beauty pageant coach and the disturbed teenager he takes on as a client, also continued filming this month. Finishing October in Buckhead and northwest Atlanta, the show started November with a basecamp set up at CM Pitts Elementary School near the CSX-Tilford Yard. On October 9, the series was in Lithia Springs. 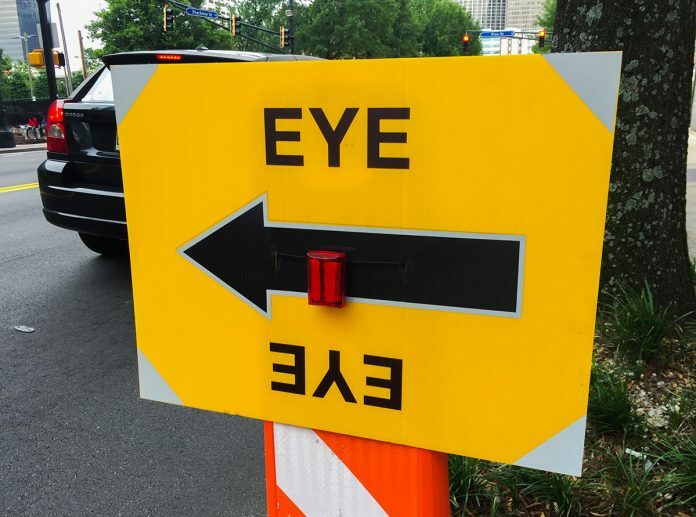 CBS’s MacGyver (EYE), which moves all over the city seemingly every month, was in Buckhead on November 1, the Atlanta Motor Speedway on November 15, Limerick Junction on North Highland Avenue on the 20th, and in Midtown on November 24. TruTV’s Misfits & Monsters (M&M) had signs up near Centennial Olympic Park on October 30. Crews worked in Marietta on November 2. We saw additional signs off of Jimmy Carter Boulevard on the 7th and in Stockbridge on the 10th. Also this month, Donald Glover’s Atlanta (MiniM) had signs up in Buckhead on October 30, and in Stockbridge between November 8 and 9. Kevin Hart’s Night School (GED) set up a basecamp at Westlake High School. The reboot of Trading Spaces (CF) was in a neighborhood in west Cobb County, off of Burnt Hickory Road on November 14 and 17. The CW’s Valor (VLR) had signs up along Howell Mill Road and I-75 on the 13th, and by the Airway Motel on Fulton Industrial Boulevard on the 16th. BET’s The Quad (GAMU) filmed in Brookhaven on November 16. 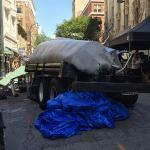 The Originals (TOGS), shooting its final season, was in Covington on the 9th. Trial By Fire (VERITAS) worked out of the old Douglasville jail between November 6 and 10. Good Girls (GOOD GIRLS) had a basecamp at the Tahoe Village Shopping Center in Clarkston on the 7th, and was at Third Rail Studios in Doraville on the 15th. Star (SOS) filmed in Smyrna on November 1, The Walking Dead (SF) had signs up along State Road 16 on the 5th, and The Resident (TR) was in McDonough on November 17. The yet-to-be-titled Avengers 4 (FIGARO) was at Atlantic Station on October 31, and in Midtown, taking up a chunk of 14th Street between November 1 and 2. 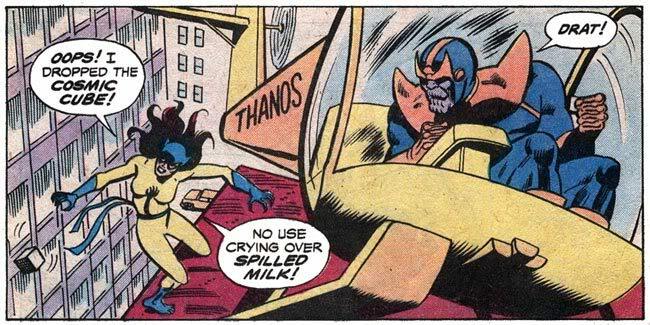 And speaking of the Avengers, Marvel Studios released the much-anticipated trailer for The Avengers: Infinity War yesterday. This is easily one of the biggest things to come out of Georgia’s production engine thus far. In fact, between Avengers 3 and 4, the co-production is reportedly the world’s first billion-dollar production. 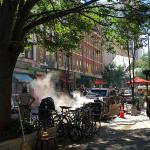 While the trailer doesn’t give too much away (including no sign of the Thanos Copter), we do get a nice look at one of the more visible downtown Atlanta sets from the past year. Recognize that street Tony Stark, Doctor Strange, and Bruce Banner are standing on? That’s right smack dab in the middle of Fairlie Poplar. We’ve got the pictures to prove it.